Orrville has been known as somewhat a football power over the last three to four decades. One reason for this is the continuation of outstanding athletes who have played in Red Rider Stadium. Kim Anderson fits this mold to a tee as he showed his ability on the gridiron for four years. In his senior year (the fall of 1962) he was chosen captain of the team. This team went 7-3 under Bill (the Chief) Shunkwiler’s coaching and Anderson’s field leadership. Shunkwiler touted Anderson as All-Ohio material not only because of his football talent, but because of his inspirational leadership as well. “His actions spoke louder than any words”, says his former coach. Shunkwiler also called him “the finest all-around lineman I’ve ever coached”. Anderson was named Orrville’s most outstanding football player by the Junior Chamber of Commerce for the 1962 season. He played at 6’1” and 210 pounds, as offensive guard and middle linebacker. Anderson is one of the few football players in OHS history to earn four letters. Besides football, Anderson earned two letters as a pitcher on the baseball team and played on the basketball team. 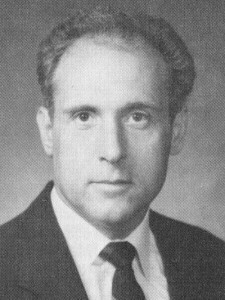 His leadership was used in the school as well, as on the playing field, as he was president of the Student Council during his senior year (1963). After football and college, Anderson has chosen a career in the Ministry serving as pastor at the First United Methodist Church in Ashland. He does keep active in sports, however, from an involved spectator standpoint. When Orrville played Ashland High School last fall, the game ball had been donated by Kim L. Anderson. He is a member of the Orrville High School Sports Hall of Fame.